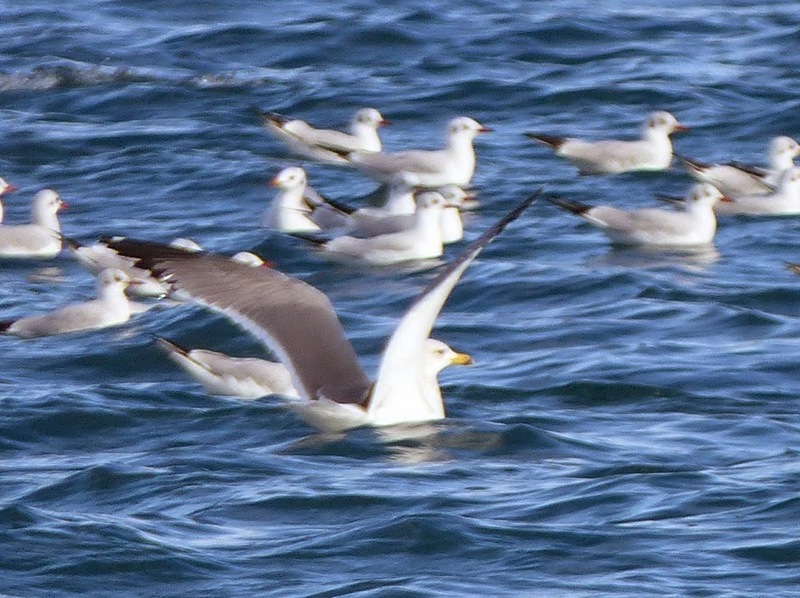 This photo, from the same set as yesterday from Lady's Mile, shows another adult Armenian gull. Compare this photo with the one of the 3cy flapping its wings in the first photo from yesterday.The bill has the same black band, the head looks like it's the same shape and the wing tips look the same(almost completely black and triangular with very small mirrors) but this bird has a slightly larger mirror on P9. Normally when I'm abroad I dismiss the larger gulls as irrelevant but with so many splits these days I've paid more attention this time, and it's paid dividends with two new species for me.